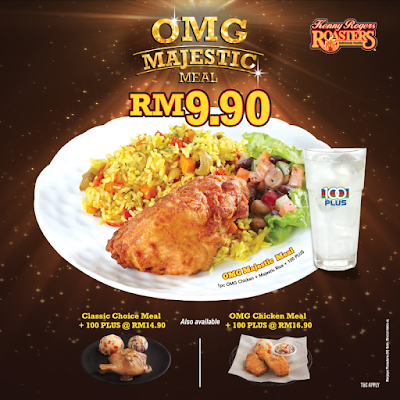 Satisfy your OMG Unfried Fried Chicken craving with this OMG Majestic Meal for RM9.90 only! 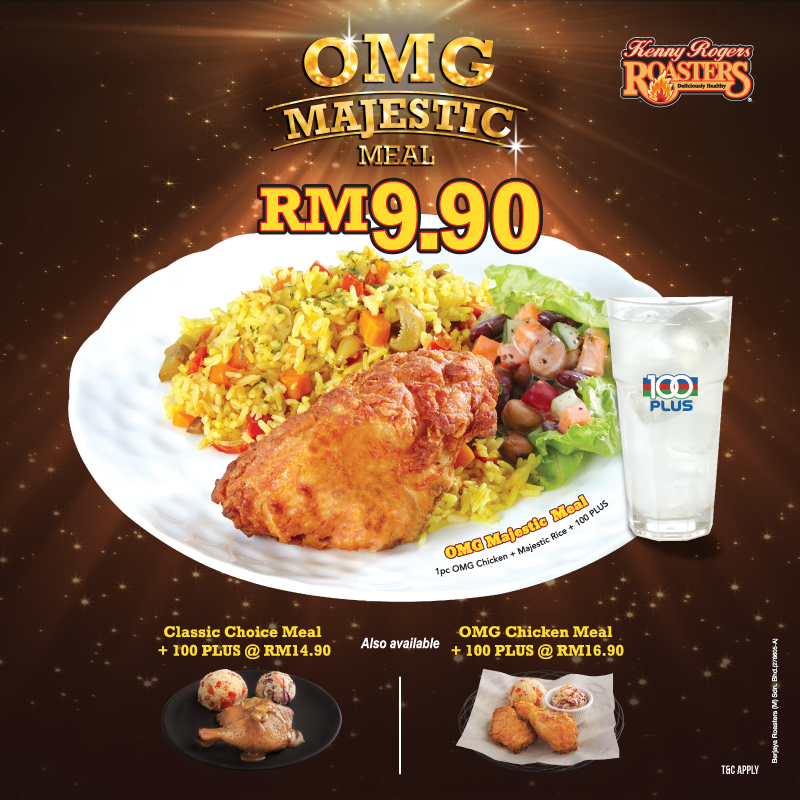 You can also check out our Classic choice meal+ 100 plus for RM14.90 and OMG Chicken Meal+ 100plus for RM16.90 as well. Let's head to the nearest Kenny Rogers ROASTERS today with the whole family! ;) The promo is available ALL DAY from 13th November until 7th January 2018. Not available for ROASTERS Delivery / Catering. Not valid with other offers / discounts /promotions. All prices above are final price. Final price inclusive of 6% GST (Good and Service Tax) except for Langkawi.